"One of my biggest influences is David Garrett. I saw him in concert here in San Diego recently and he is amazing! My first experience of violin music played in a variety of styles was by Patrick Haygood and his brothers in Branson, MO. I was at the Haygood Show and that was it...I have been playing violin ever since. Who do you like to listen to? Although I do play a lot of classical, I also really enjoy rock, blues, pop, and just about everything in between." 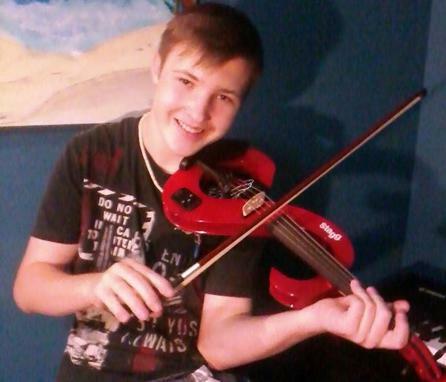 At Forté Academy of the Arts, we offer classical, blues, pop, and rock violin lessons for acoustic or electric violin. Our violin teachers will show you how to read music, give solid technique and theory, and they'll incorporate the songs you want to learn in the process. Our violin instructors have great personalities to make learning the violin fun. 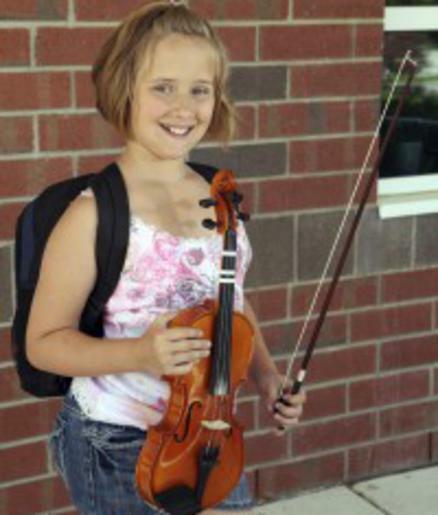 Begin taking violin lessons today and start pursuing your dreams! We are now offering violin lessons with classically trained violin teachers who hold music degrees at the Masters level, as well as specialized music and artist certificates. Our violin instructors have years of teaching experience with students of all ages and levels of ability- from complete beginners to highly advanced! ​Celebrating over 385 students enrolled in our Academy! Call 760-622-6336 now to register for violin music lessons and reserve your spot now. Or come by today and visit our North County music studio to check out the fastest growing music academy in North San Diego County for music lessons! Quality Music Lessons for Piano, Guitar, Singing, Voice, Violin, Bass, Ukulele, and Drums and also offering Art Lessons! North San Diego Violin lessons are offered to students of all ages and levels in traditional, Suzuki or a blend of both methods. Core principles are emphasized through the best violin lesson curriculum in North San Diego County at Forte Academy of the Arts, starting with the fundamentals – learning the parts of the instrument, proper finger placement and bow hold. What an accomplishment when beginning students proficiently play simple songs! More experienced students continue to progress by mastering significant repertoire and developing advanced technique, such as vibrato and harmonics. Our comprehensive violin lessons include theory, ear training, sight reading, technique, and history. Forte Academy of the Arts aims to deliver the finest violin lessons in San Diego by presenting repertoire and technique in new and exciting directions. 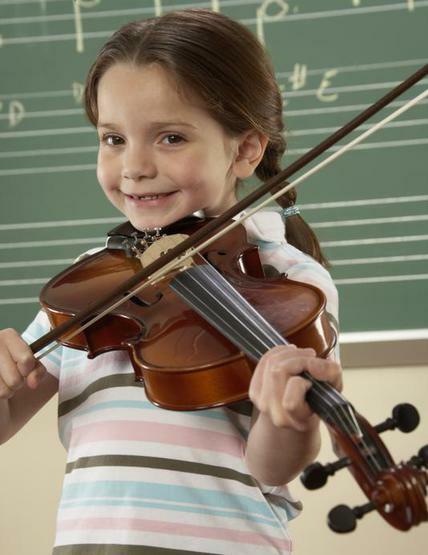 Violin lessons are offered at our location in North San Diego County. The violin is the soprano voice in the string family. It is held under the chin, resting on the shoulder. The violin has a lovely tone that can be soft and expressive or exciting and brilliant. The violin has fascinated both makers and players for more than four centuries. History acknowledges Andrea Amati from Cremona, Italy (c. 1500-1577) as the first violin maker. Amati’s workmanship set the standard in violin making for future generations. Three generations in the Amati family followed him in this trade. Noble families and royal courts during the sixteenth and seventeenth centuries commissioned the making of these instruments. Thus the occupation, craft, and art of violin making were born. There were many great Cremonese makers, including the famous Stradivari whose violins are regarded as amongst the finest bowed stringed instruments ever created. Famous violinists such as Itzhak Perlman, Joshua Bell and Hilary Hahn reflect the range of the violin with its colorful tones from clear and bright to rich and powerful. 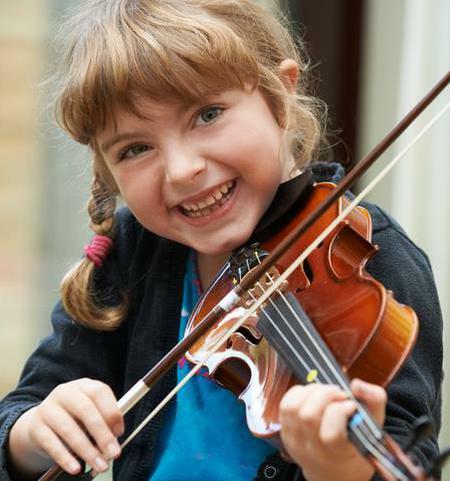 Why choose us for violin lessons? Forte Academy of the Arts offers music lessons in a variety of instruments. Our piano lessons, violin lessons, guitar lessons, voice/singing lessons, drum lessons, ukulele lessons and drum lessons provide a comprehensive and robust music education. Learn more about our music programs. From decorated recitalists to composers, our faculty is dedicated to tailoring music lessons to your interests by learning about your personal musical goals and helping you achieve them. Our faculty have instrument specific degrees from renowned universities. Learn more about our amazing faculty. With over 20 years of teaching experience, Mrs. Morrison brings her belief in the value of music education to the forefront of the Academy’s mission. As director and owner, Mrs. Morrison has assembled a team of professional musicians who share her passion and enthusiasm for quality music education. Learn more about our director here. With the largest studio location centered in North San Diego County, our school is convenient to all areas of North County. Our state of the art facility includes comfortable and professional parent lounges with free Wi-Fi, coffee/water, and magazines. Spacious studio rooms are equipped with top-of-the-line upright and baby grand pianos . All rooms are enhanced with updated technology such as i-Pads with music teaching apps and software, for engaging modern and classical music lessons. Learn more about our location here. Students interact with peers by participating in performances and masterclasses with faculty and other visiting artists. Recitals, included in the tuition, display and elaborate each student’s achievements in their instrument of choice including piano, guitar, violin, voice/singing, ukulele, drums and more. Our students have unique performance opportunities such as our summer and winter recitals held in our own performance auditorium. 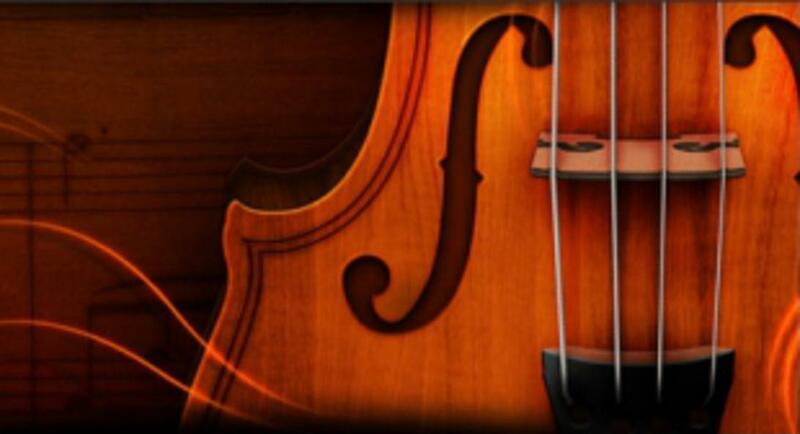 Forte Academy of the Art is proud to offer our students the best instruments for modern and classical music lessons. For more than a century and a half, the world’s most accomplished pianists have preferred to express their musical genius on pianos such as Yamaha and Kawai pianos. The list includes the giants in classical, jazz, and popular music. Our teachers blend a variety of teaching methods and styles including the Suzuki method for violin lessons, developed by Japanese violinist Shinichi Suzuki. Call today to learn more about Suzuki lessons and our studio program director. The unique Forte Seasons curriculum developed by our very own faculty emphasizes a variety of genres including pop, contemporary, jazz and classical music. Live instrument demonstrations are integrated into classes along with lesson plans that align with performances from our faculty and local ensembles. Our wonderful baby music classes, toddler music classes, and pre-school music classes are truly a well ­rounded approach to understanding musical comparatives and enhance development of the whole child. There is a lot of movement in our childrens’ music classes and the lessons actively flow through the seasons of the year and holidays! Forte Academy offers music instruction with piano lessons, guitar lessons, bass lessons, violin lessons, voice/singing lessons, drum lessons, ukulele lessons, and even art lessons six days a week to accommodate your busy schedule. Music lessons and art lessons are billed monthly with no semester commitment. Monday – Friday 9:00 a.m. – 7:30 p.m.
Saturday 11:00 a.m. – 4:00 p.m.